“The optional CMC Marine zero speed stabilizers were definitely a smart add-on, avoiding the pendulum eﬀect you often find on many ﬂybridges." 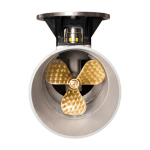 "CMC Marine system, actually, is the perfect one and I’m very happy to have it on board. The system is working perfectly and it is very friendly to use; the big advantages are no noise, no hittings, no alarms, no hydraulic pumps. Actually the low electric power is enough to stay with one generetor overnight at anchor. This is why I really like CMC Marine stabiliser system." "Talking about the maintenance, the boat is just one year old and now we are just checking the prechecks and the annual services. The maintenance has been very easy until today; if you compare with the other systems it is really friendly." 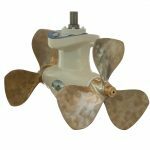 “To maximize onboard comfort and reduce energy use, the boatyard has equipped My Paradise as well as all Benetti Class models with a CMC Marine electrical ﬁn stabilizer. 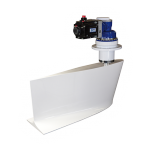 Compared to traditional systems, the electrical ﬁn stabilizer ensure reduce noise, increase functionality, reduced electricity usage, and ease of maintenance." 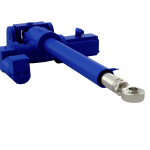 Stabilis Electra, Covered by EU patent n. 2172394, is the world’s unique revolutionary system offered by CMC Marine to overcome the problem of limited dynamics of a hydraulic actuator.